Buy AOT: Wings of Freedom for XOne in India at the best price. Screenshots, videos, reviews available. 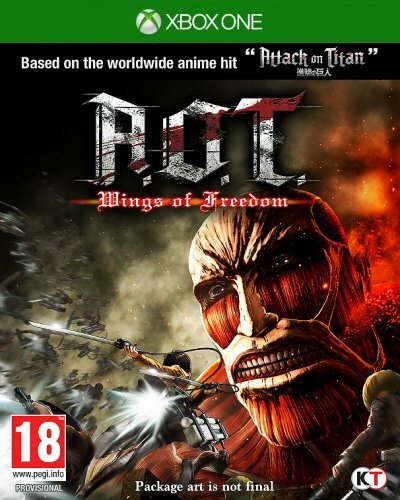 AOT: Wings of Freedom closely follows the riveting story line of Attack on Titan's first season and focuses on the exploits of various key characters, putting the player in a position to relive the anime's most shocking, courageous, and exhilarating moments. It revolves around the story of three young people who survive the destruction of their walled city district by enormous, man-eating Titans and eventually go on to join the Scout Regiment in order to protect humanity from this overpowering foe.